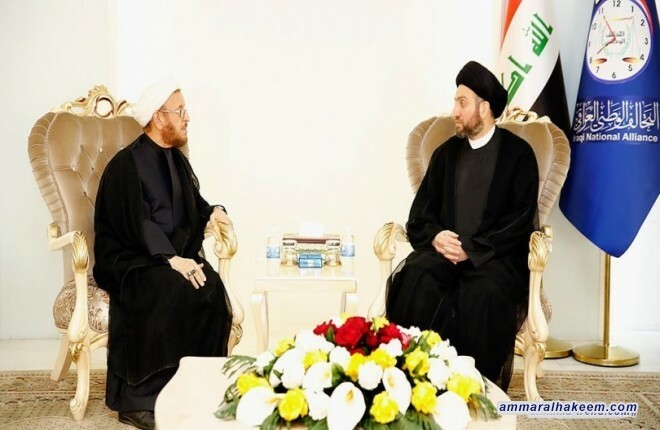 His eminence with Al-Nu'mani discussed the developments of the security and political situation, especially the repercussions of Kurdistan region referendum crisis, praised the clear position of Feyli Kurds supporting the government's measures to impose constitutional authority in every territory of the Iraqi land. His eminence pointed out that the government measures are primarily based on the interests of citizens, including the citizens of Kurdistan and the citizens of Kirkuk in particular. The Iraqi state is obliged to care for its citizens and preserve their rights in any location, and the government would not be able to perform it duties only after its presence everywhere in accordance with the law and the constitution. His eminence called to resolve the crises so the people enjoy the wealth of Iraq and exit Iraq stage of crises arising due to private interest s and giving up will to resolve by some sides.